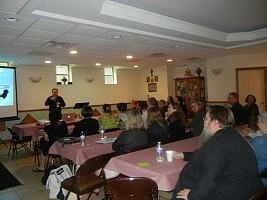 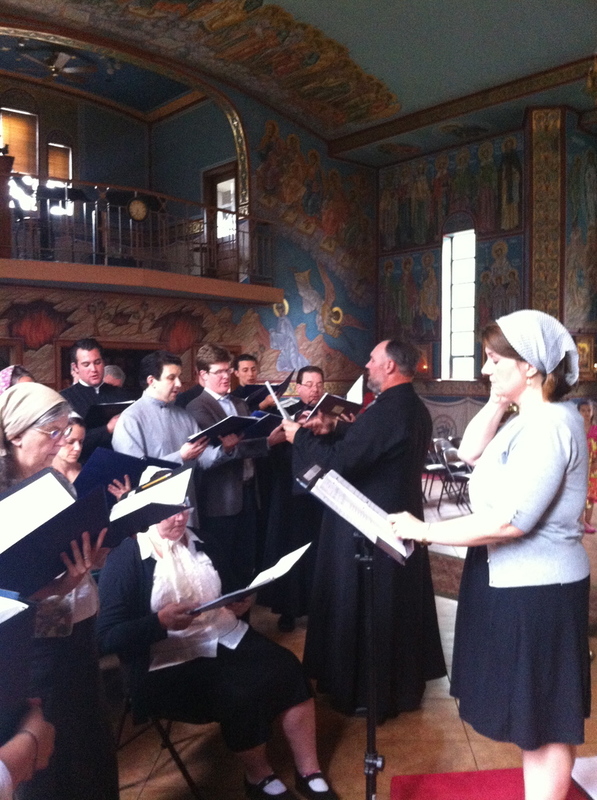 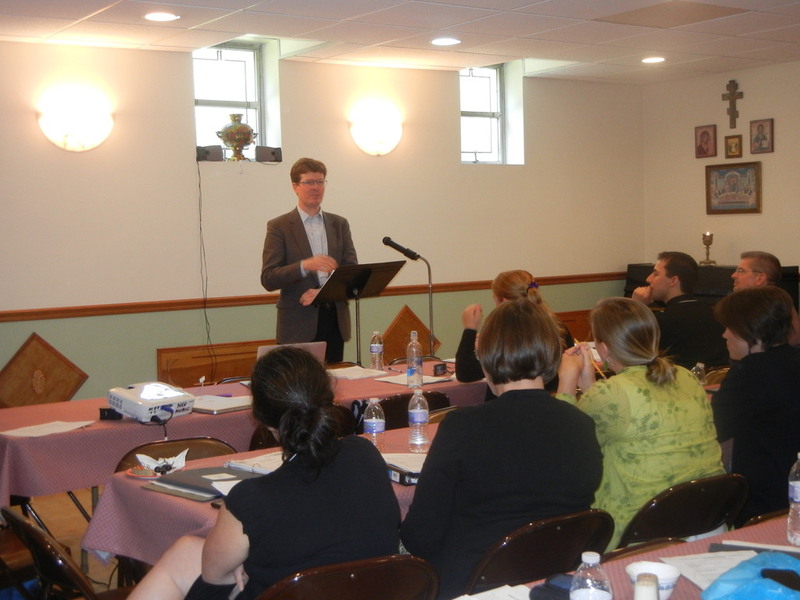 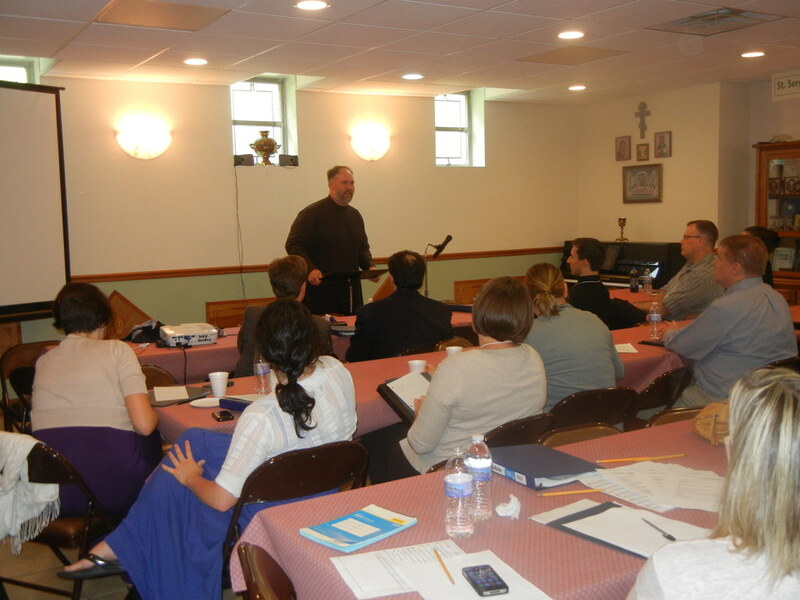 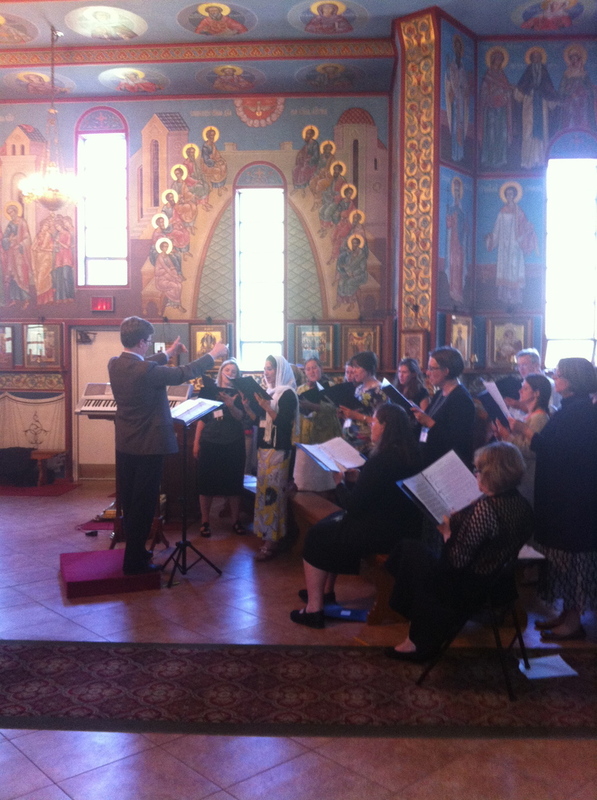 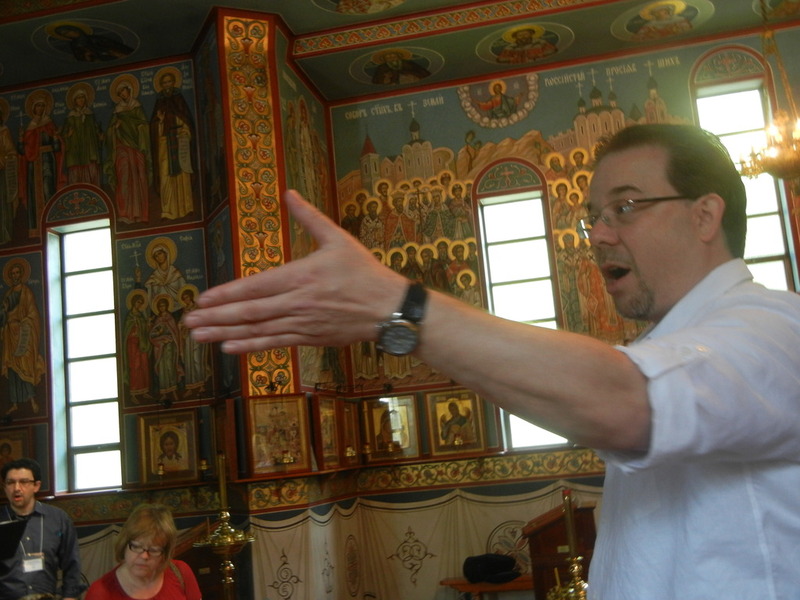 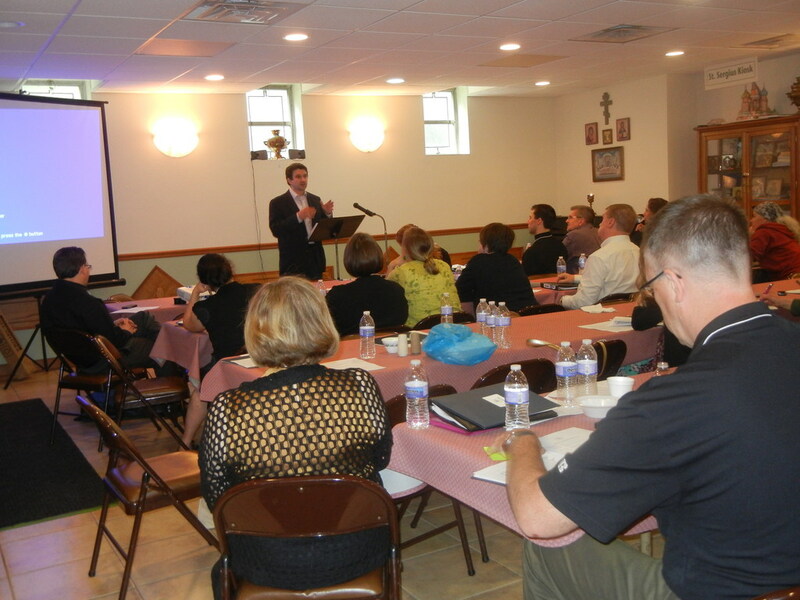 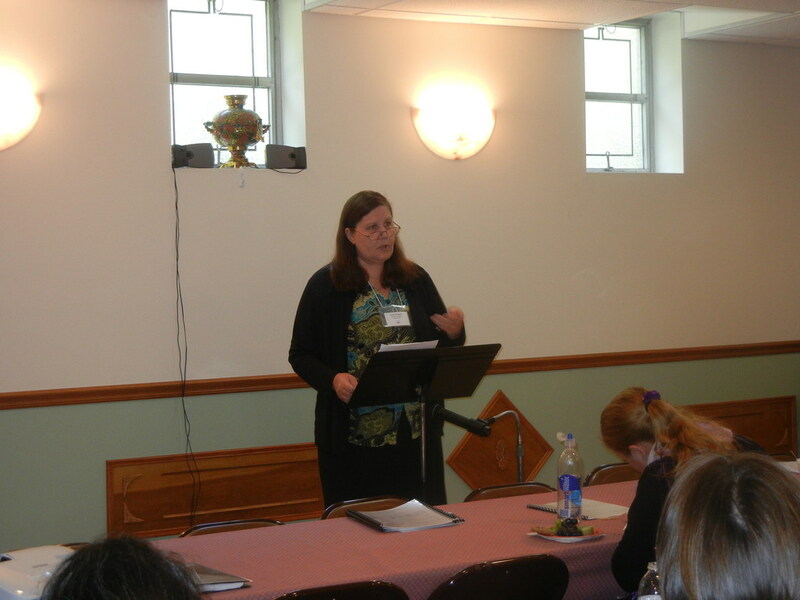 On June 14-16, 2013, with the blessing of His Grace Bishop Peter, the Liturgical Music Committee of the Diocese of Chicago and Mid-America held its Third Diocesan Music Conference at St.Sergius of Radonezh Cathedral in Cleveland, Ohio. 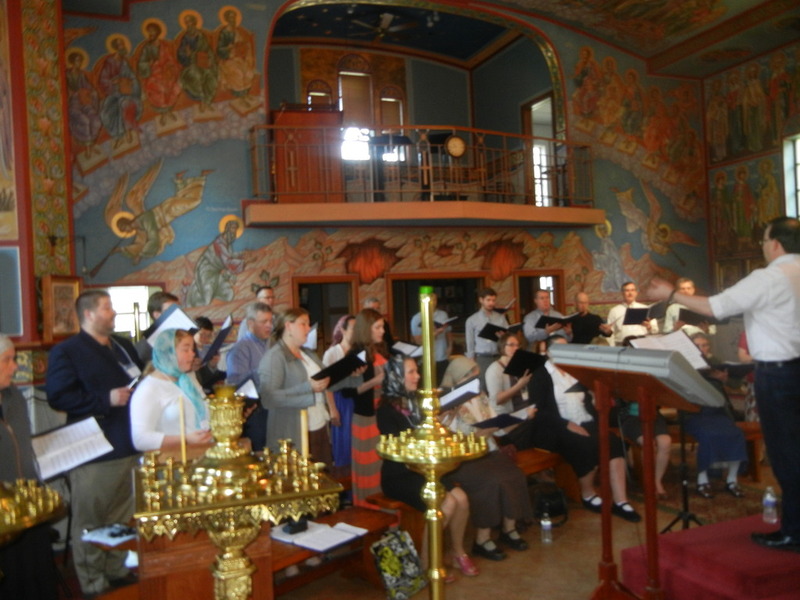 Nearly 40 singers and choir conductors from parishes as far as Utah and Louisiana came to take part in the celebration of liturgical singing. 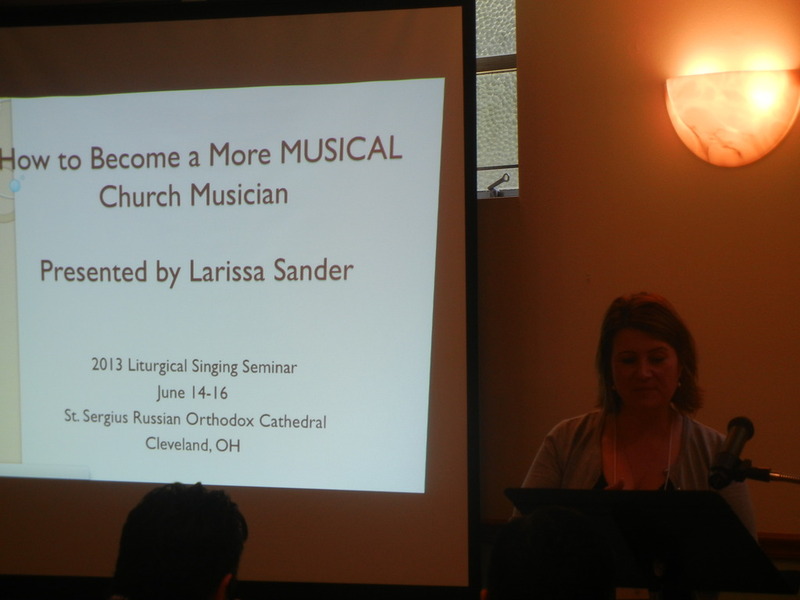 Lectures and workshops focused on helping small choirs and their conductors based on a survey of needs that had been done prior to the conference. 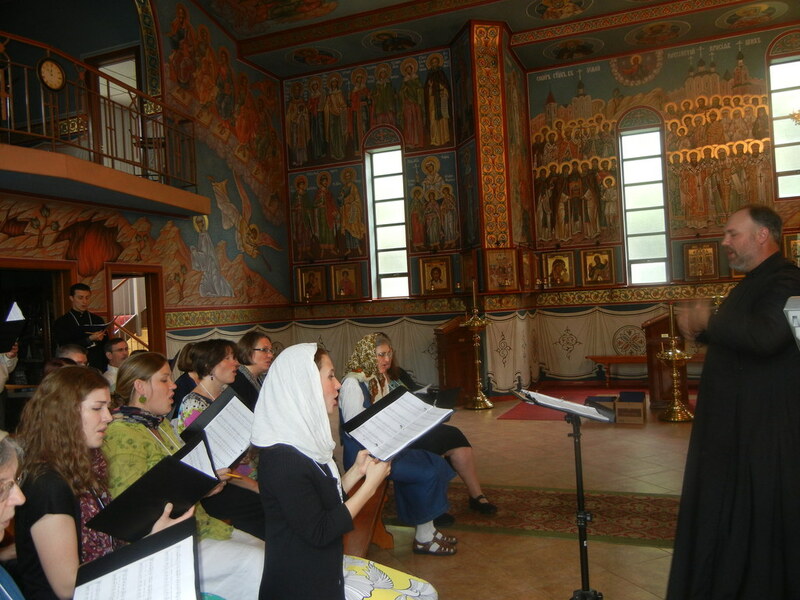 Among the lectures were topics such as: "How to Choose Appropriate Music for Your Choir"; "How to Become a More Musical Church Musician"; "What To Do When Suddenly YOU Are the New Choir Director"; "Arranging Music: Challenges and Successes; The Cure For the Uncommon Choir"; "Typicon"; and "Reading in Church: An Essential Component of Prayerfulness". 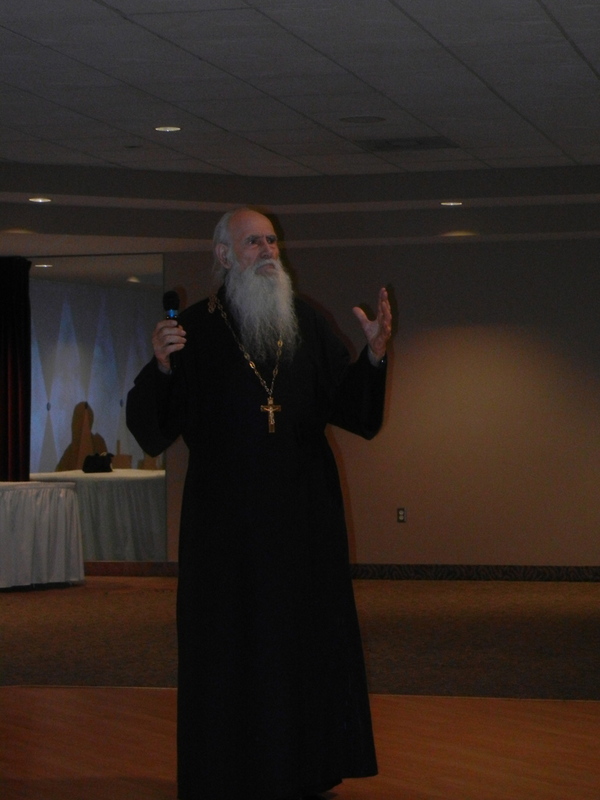 Presenting were Fr. 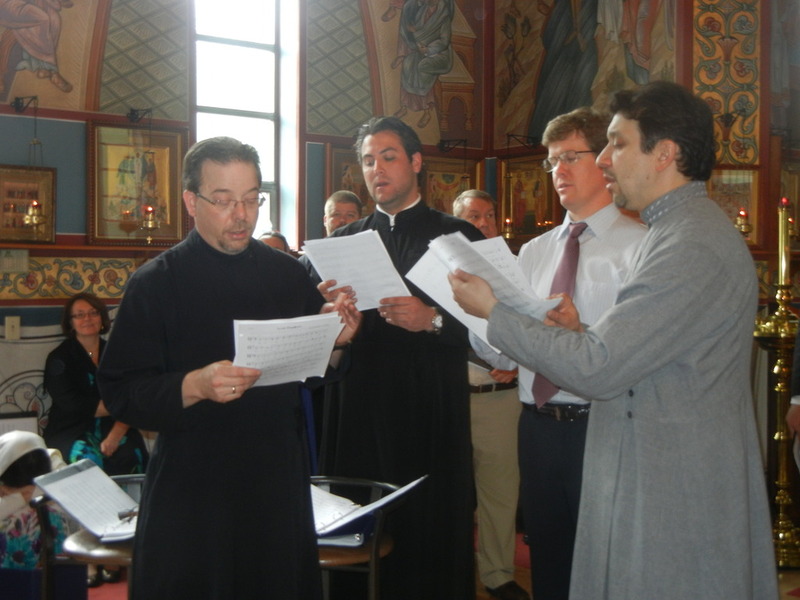 Deacon Alexander Petrovsky, Larissa Sander (Chair of the Committee), Dr. Kurt Sander, Carol Surgant and Sergey Furmanov, all memebers of the Committee, augmented by Jared Brewer, Chair of the Eastern American Diocesan Music Committee. 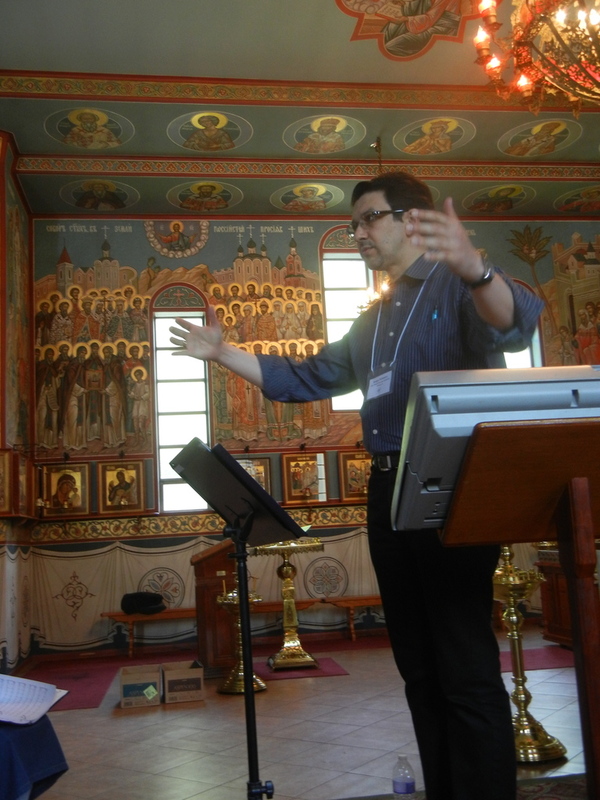 As important as the didactic component of the conference is, the social aspect of the church musicians’ meeting is always of equally great importance. 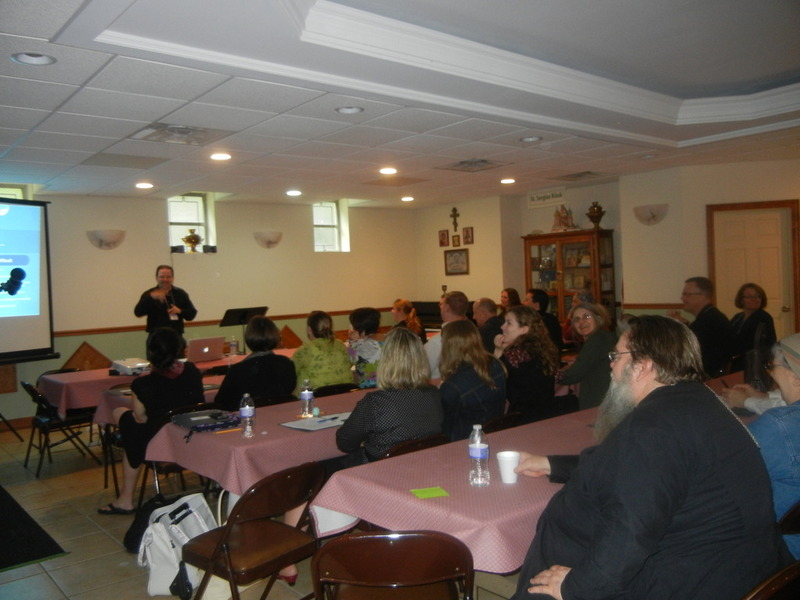 The sheer size of the Chicago and Mid-American Diocese, geographically largest among the ROCOR dioceses in the United States, presents a challenge to the efforts of personal outreach. 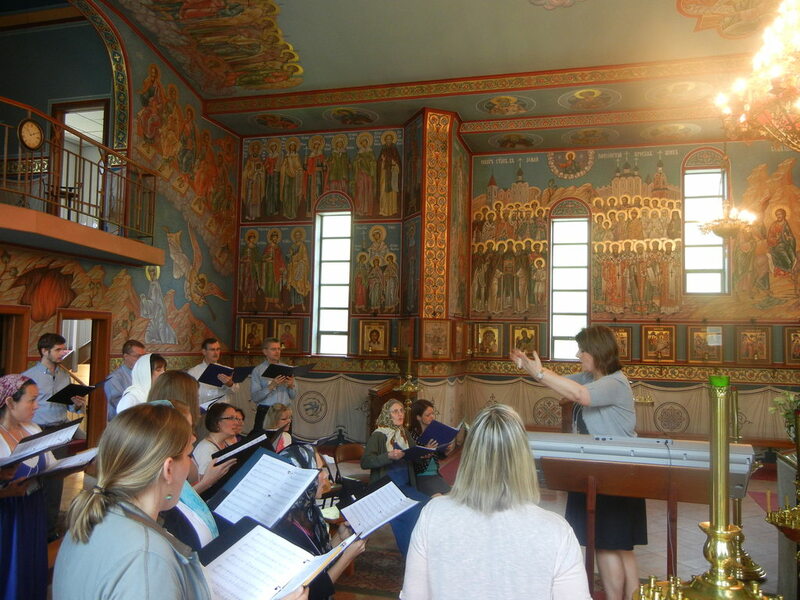 While internet access has become a necessity for modern day church conductors and singers, even more valuable is the opportunity of contact with fellow church musicians who are “in the same boat,” a metaphor which is in many ways very appropriate for the faithful of Christ’s Church. 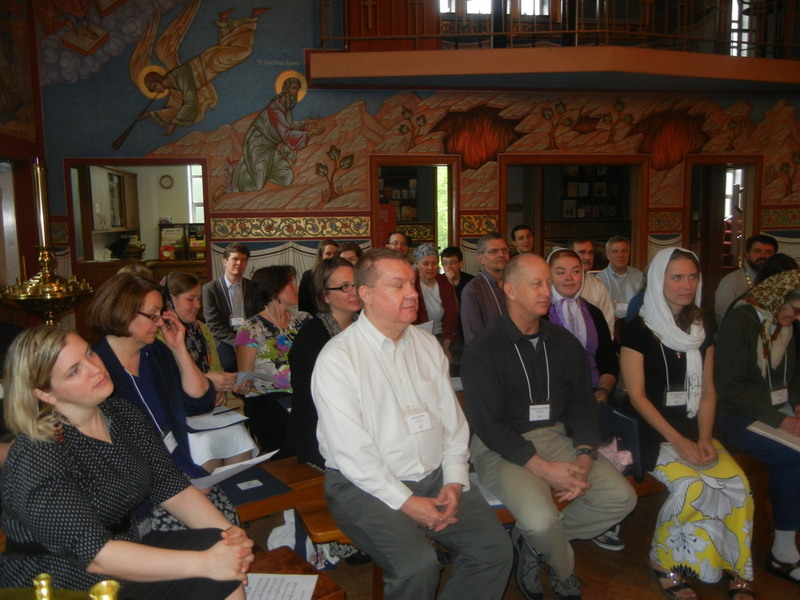 This idea was stressed at the conference by the Committee members, who made themselves available by email and phone for future questions and last-minute problems related to kliros. 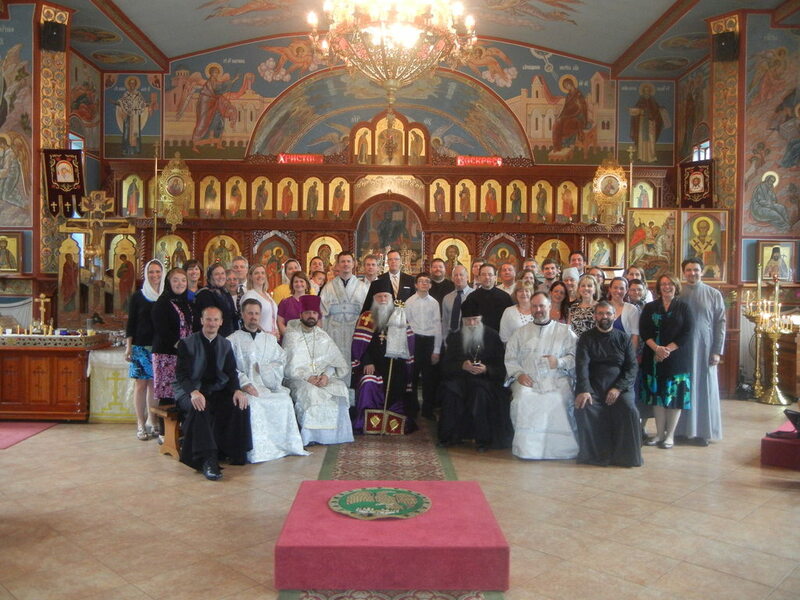 The Conference culminated in the All-Night Vigil and the Hierarchical Liturgy officiated by His Grace Bishop Peter. 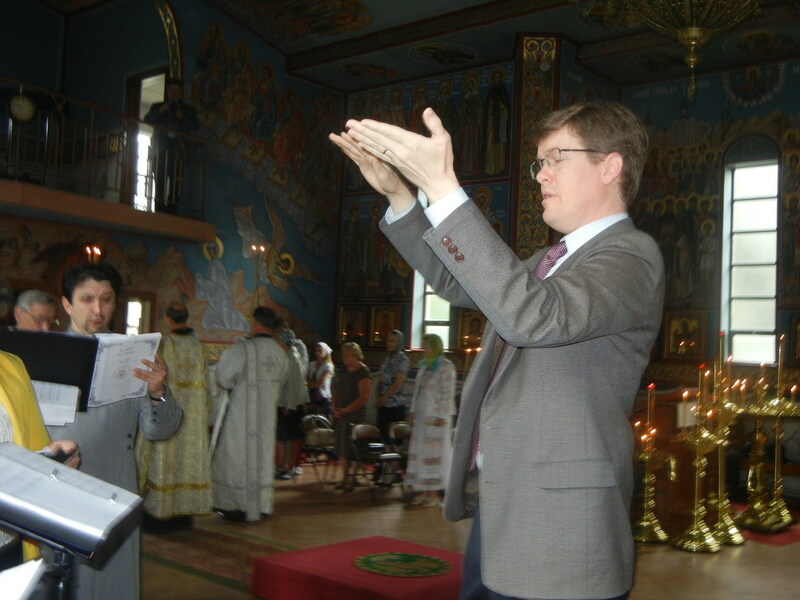 The idea of unity was reflected on in Vladika's sermon following the Gospel reading on the week of the Fathers of the First Ecumenical Council. 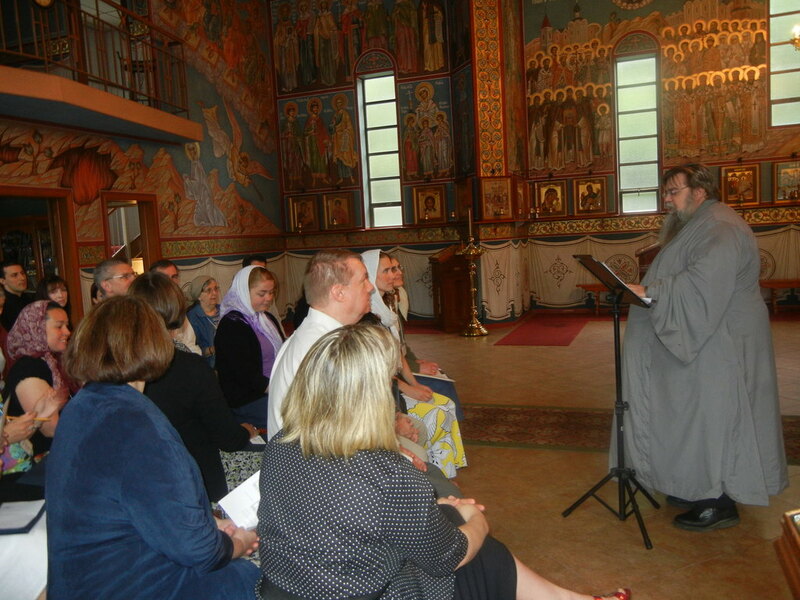 His Grace spoke about Christ’s High Priestly prayer, in which Jesus taught His apostles to be united in faith, truth and love. 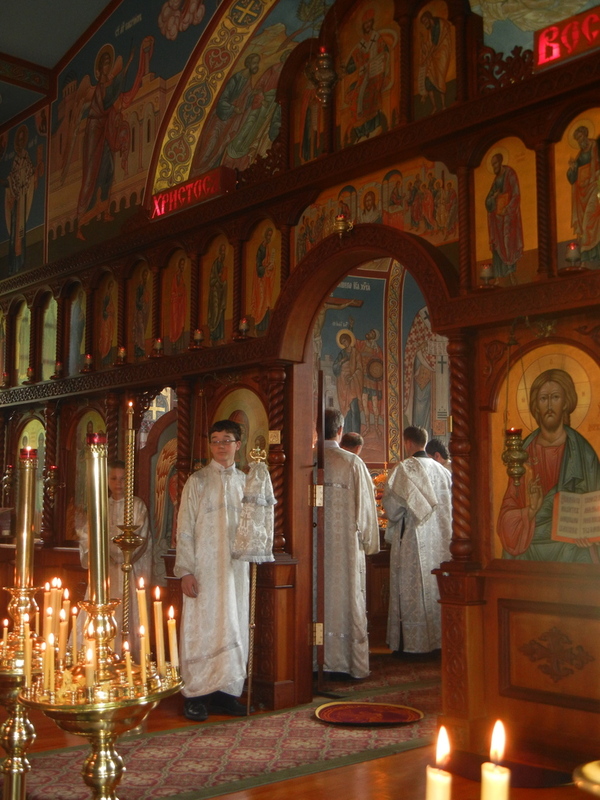 By Divine Providence, Father’s Day had a special sacred significance for all who celebrated the memory of the Holy Fathers in the spirit of unity and Christ’s love. 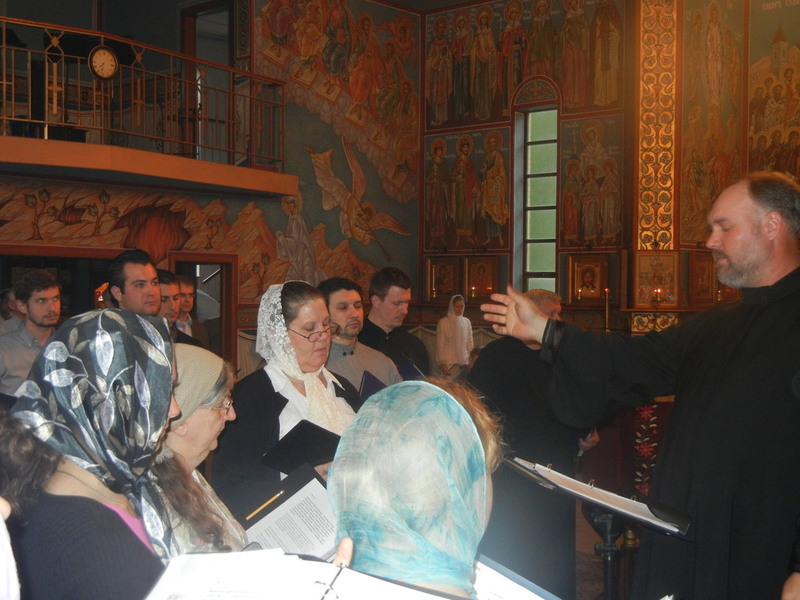 The Liturgical Music Committee and conference participants expressed their most sincere gratitude to Archpriest Ilia and Matushka Natalie Marzev, the sisterhood and to all parishioners of the St. Sergius Cathedral for their hospitality and hard work that helped make the Conference a success for the glory of God.